Our Team at Sherriffs Road Swimming Centre take pride in looking after you and your needs. We have a diverse team of people at our centre who are passionate about working with and supporting children and adults. Individual team members hold a variety of qualifications depending on their responsibilities. All staff are trained in first aid and are required to have appropriate clearance for working with children. Our dedicated swimming instructors hold nationally recognised Aquatic Education (teaching) qualifications and current CPR certificates. We take pride in the fact that many of our younger instructors were themselves taught to swim here at Sherriffs Road (previously known as Reynella Swim School). They have consistently reported to us that our Swim Centre is amongst their fondest childhood memories. They recall being supported and nurtured at our centre and that is what has brought them back to Sherriffs Road later in life, when they have sought employment. The business has been successfully established for 40 years and remains in the same family. Frequently, connections are renewed with past customers, where parents have previously brought their children for swimming lessons, are now bringing along their grandchildren. 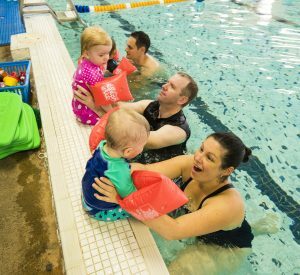 They tell us they want to ensure their family’s younger generation receive the same positive experience and enjoyment from learning to swim as they did. Start your swimming journey with us today.